Co-trainer David Eustace is looking forward to a wet track for Mask Of Time at Rosehill. Sydney’s wet start to the autumn has been a boon for mudlark Mask Of Time who again appears set to get his favoured rain-affected track conditions at Rosehill. 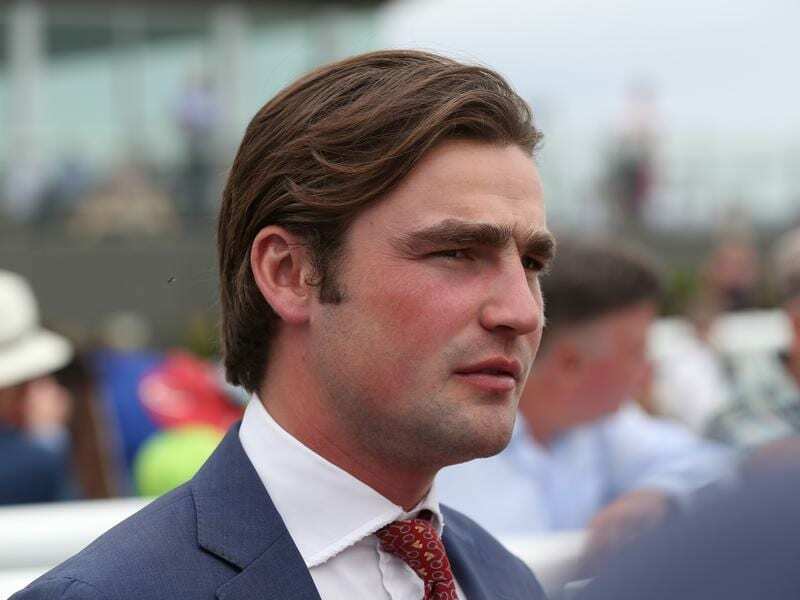 While the five-year-old has managed just two minor placings in 15 starts on firm ground, he is a different horse on soft and heavy tracks, managing a top-three finish at seven of his eight starts in the wet. It is a remarkable statistic and one that has not escaped trainers Ciaron Maher and David Eustace. “The cut in the ground is fairly essential for him,” Eustace said. “He’s a horse we’ve just been aiming to get wet tracks for. We think he’s very versatile with distance whether it’s 1400 metres, a mile or 2000 metres, it’s just essential he has a wet track. Mask Of Time will line up in Saturday’s Doncaster Prelude (1500m) and with Rosehill rated in the soft range on Friday and rain expected on race morning, the entire should get a suitable surface. He has performed in similar conditions at both runs from a spell, resuming with a third to Saturday’s rival Seaway on soft ground at Rosehill in February before being nabbed in the final bounds by Fifty Stars on a heavy track in the Ajax Stakes at Rosehill on March 16. Eustace has seen merit in both performances, enough for the stable to give Mask Of Time a chance to qualify for next month’s Doncaster Mile at Randwick. “He was unlucky not to win last start. He got headed, came back, then got headed again and was very, very brave in defeat,” Eustace said. “He’s enjoying the cut in the ground and hopefully he can win on Saturday and that automatically gets him into a Doncaster, which we think he could run well in off a low weight. Mask Of Time has 50kg in the Doncaster with the winner’s of Saturday’s race exempt from a ballot for the prestigious mile, run at Randwick a week later.